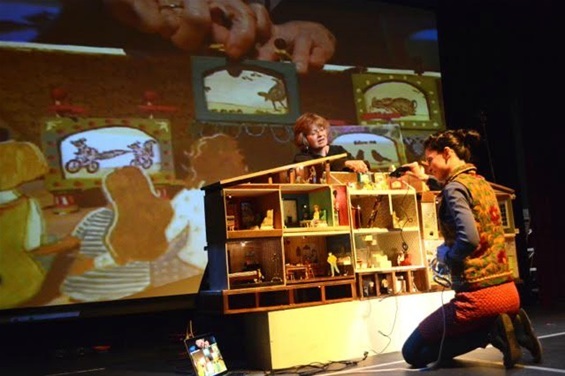 Annie Howe and Katherine Fahey A closer look at Katherine's crankie box pictured below on a cart. 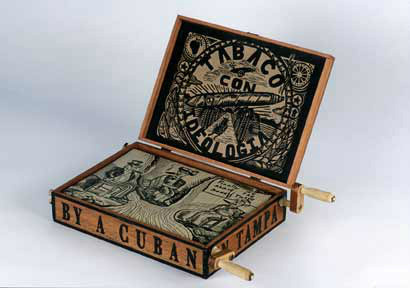 Sometimes the design of the crankie box is related to the story. Other examples are just plain brilliant. Thank you to all the artists for sharing your work and providing much inspiration. 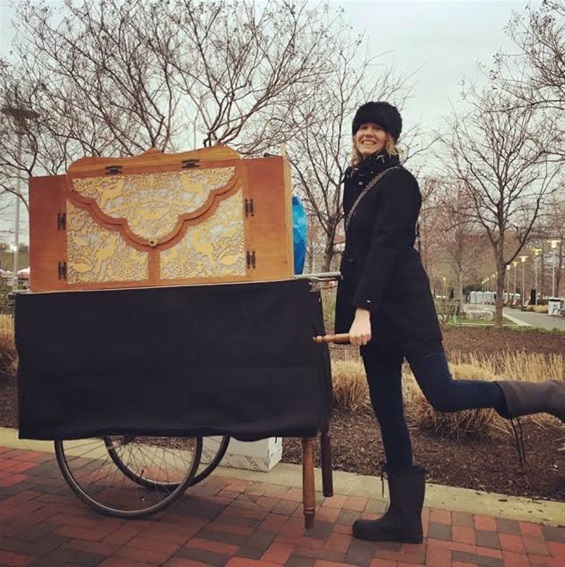 Baltimore, MD - Katherine Fahey put her crankie show on a cart, to perform at Baltimore's LightCity Festival. The Weeping Tree by Joana Hruby. Devon, England - The Weeping Tree was created by Joanna Hruby. The center box is a toy theater and the boxes on each limb are crankies. Read more at this LINK. 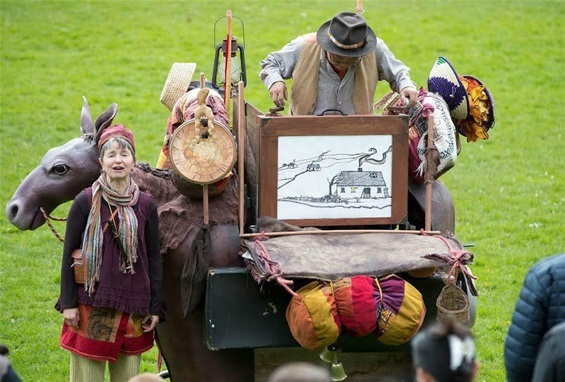 West Yorkshire, England - Kit and Caboodle is a story of immigration by Thingumajig Theatre. Created by Kathy and Andrew Kim. Cranky illustration by Kerith Ogden. . Song is "Across the Western Ocean". Read more about it here. 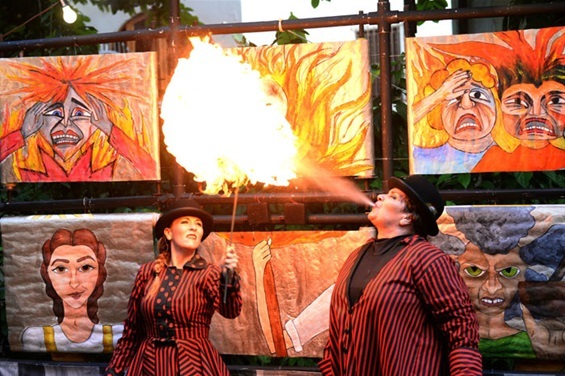 Puerto Rico - This is Deborah Hunt breathing fire in front of her multi-scroll crankie! Montreal, Quebec - Paul Messer, an Industrial Engineer, has designed a parallax crankie box. 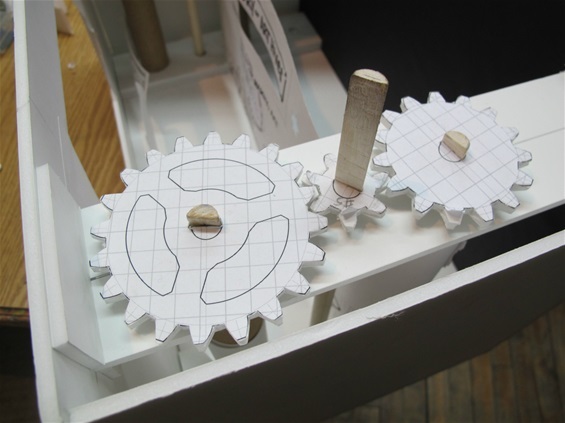 It houses two scrolls, connected by gears, which move at different speeds. Read the article here and be INSPIRED! Sue Truman cranking miniature crankies in the attic. McKenzie filming live video projection at the Baltimore Crankie Fest 2016.
mattmuirhead.co TO WATCH THE VIDEO CLICK HERE. Durham, North Carolina - Raj Bunnag created a nine foot linocut print. The cranks on the box resemble those of a printing press. Watch the video here. 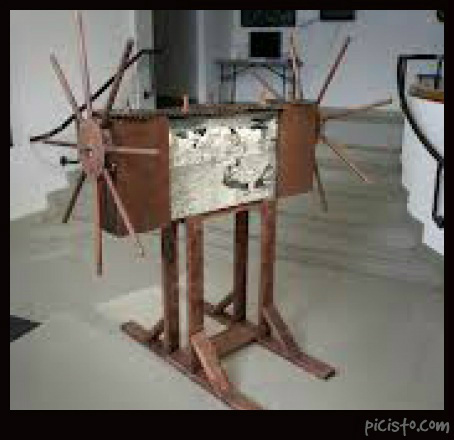 Havanna, Cuba - Abel Barroso, an Internationally acclaimed artist, has made a series of art objects with cranks. Click on this LINK to watch a video describing this piece. Read more about his art here. 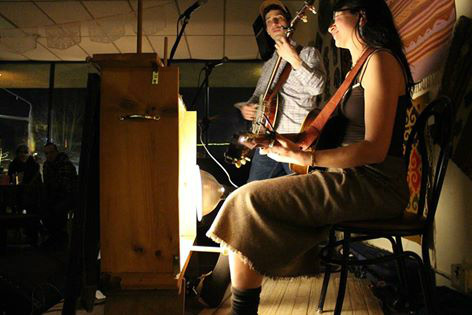 Cornwall, England - The group Hope & Anchor are Alex Goodman & Joanna Hope Bricher. 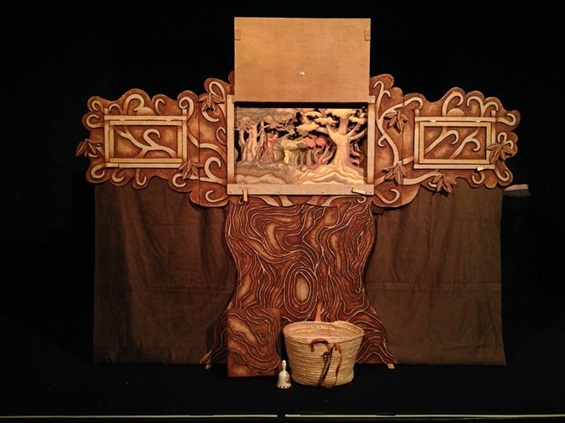 The box was created for the story "As the Crow Flies". The box has a barometer on the front. 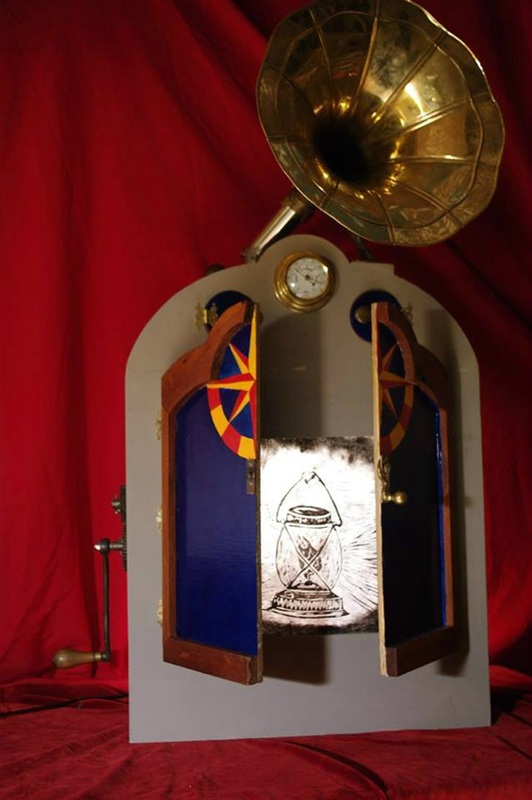 The crank handle, besides advancing the scroll, powers a flickering light and a small amp inside the gramophone horn. Read more about it here.